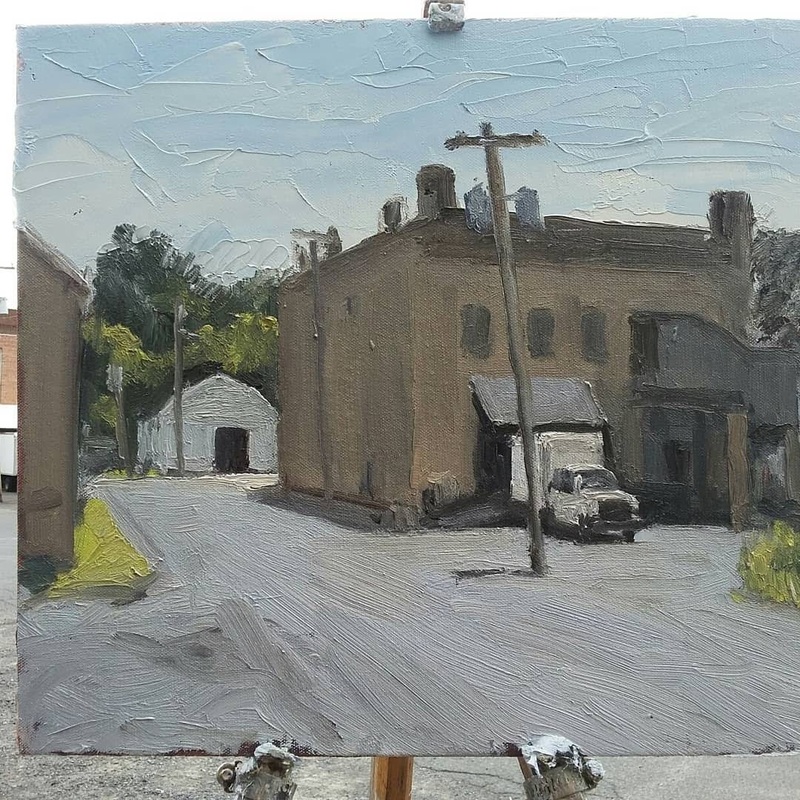 Matt Chinian Painting Blog: Plein air Adirondack is underway! 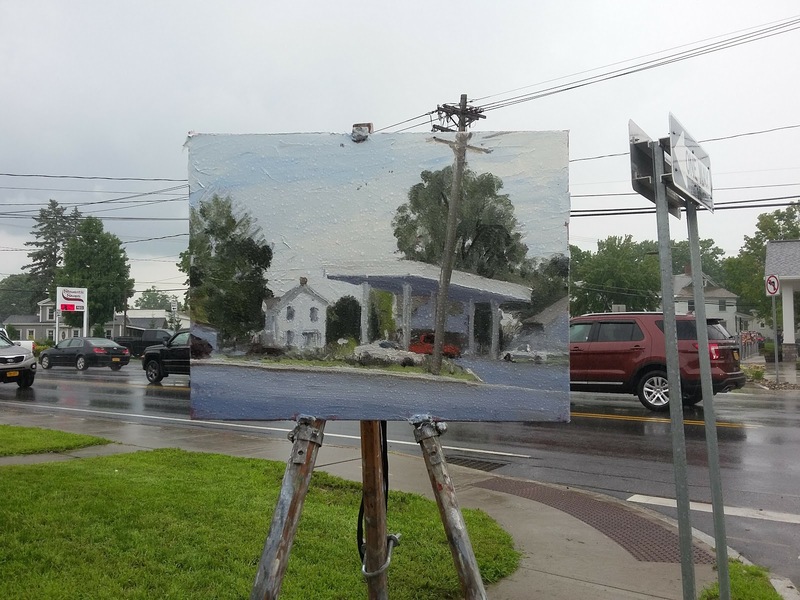 Plein air Adirondack is underway! 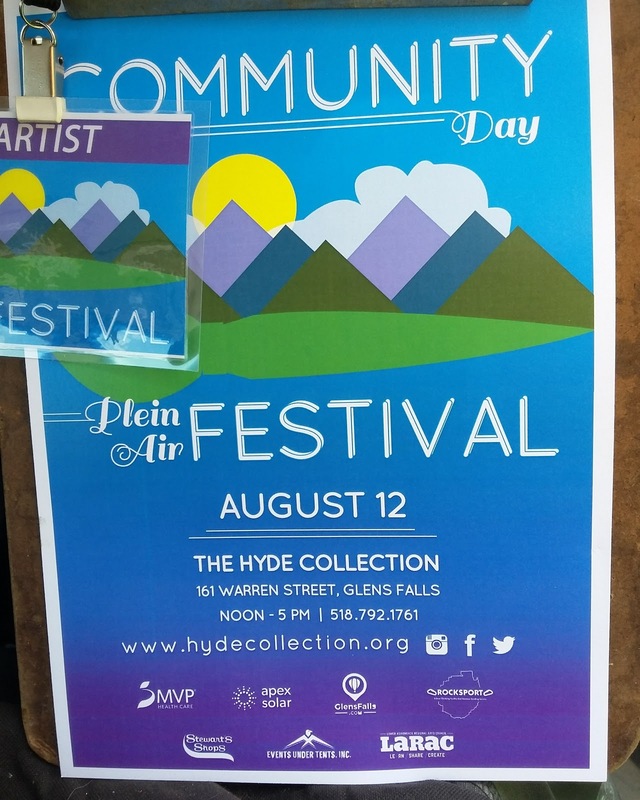 Today starts the Plein air Festival sponsored by the Hyde in glens Falls! 15 of us are painting in Glens Falls, South Glens Falls, Queensbury and Hudson Falls. If you see me out there stop and say hi! 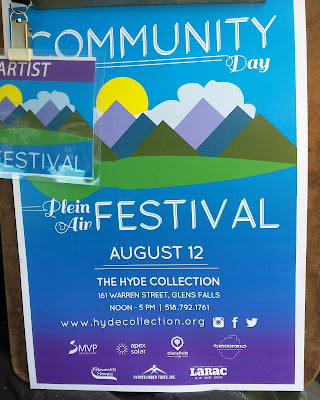 There will be a show of completed paintings on community day at the Hyde Sunday the 12th, 1-5 free admission! My second painting is In South Glens Falls, the new Stewarts at the intersection of 9 and Saratoga Ave. Thanks for reading my blog. If you're around I welcome studio visits, Thanks! Wet painting wall for July.